“Endless days” is the kind of album that takes you back (assuming you have that memory, it depends on your age) to the dark corners of the eighties’ side alleys. The wet, reverbed sound of post punk guitars and painful singing marks an almost straight wormhole into that heart of that era. The songs themselves sound more updated and save this group from falling into a not so impressive category with other bands that only imitate the nostalgic scene of the past. 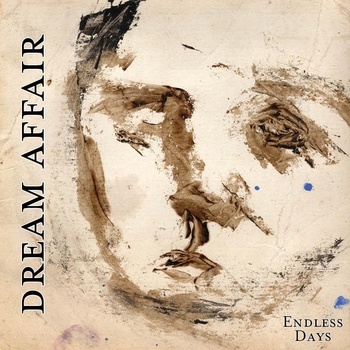 Instead, Dream Affair brings up angst that can be genuinely felt through contemporary listeners, as it crosses many other genres throughout the album. This sophisticated retro feeling also adds to the atmosphere of ‘Endless Days’. In my opinion, ‘No use hiding’, one of the several songs where a female singer joins the male singer, is the best song on this album. While it has some sense of urgency thanks to the fast, tense percussion, it also feeds on other emotions when it comes to the singing and guitars, which together create a gloomier and slower pace. When combined with the percussion section, the song creates a contrast that elevates it above the effects of its components. With King Dude’s album, Dream affair creates a second example for the fine releases by Avant! Records. Available on CD and LP, check it out.